Who by Fire, a novel: What if no one reads it? I've written a novel entitled Who by Fire, ten years in the making, and I'm pretty sure not many folks will ever hear of it or read it. Should I be discouraged? Should I give up? My answer I hope will encourage you to choose the path that leads to the work that gives you breath and life. Choose the light! 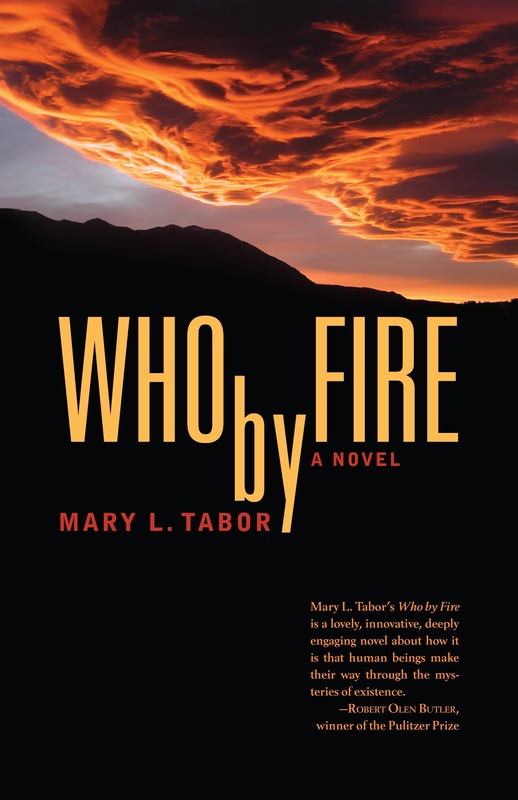 Who by Fire is published by a small, independent publisher, Outer Banks Publishing and is distributed by the non-profit, devoted-to-the-arts distributor Small Press Distribution. 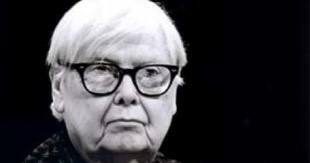 Tillie Olsen said in her wise book Silences: ‘Who will read me, who will care?’ It does not help the work to be done that work already completed is surrounded by silence and indifference—if it is published at all. Few books ever have the attention of a review—good or bad. Fewer stay longer than a few weeks on bookstore shelves, if they get there at all. … ‘Works of art’ (or at least books, stories, poems, meriting life) ‘disappear before our very eyes because of the absence of responsible attention,’ Chekhov wrote nearly ninety years ago. Read, if you will, Michael Johnson's review. To all of you who may have come here, I thank you and I offer this encouragement: Creativity operates in all endeavors. But creativity in the arts operates against all odds. Do not give up because the odds are not in your favor. Believe this: The process of the creation of something “other” gives life a fullness that I think only the attempt to create art can do. Be encouraged. Speak. Write. I'll be listening. would have told Lena about the fire I saw in Iowa, but it is regret that writes this, that longs for said things unsaid. This fire would have amazed her. The heat was so incredibly hot it reminded me of something I learned in physics: the fact that the air around a lightning bolt is hotter than the surface of the sun. It was a barn burning—not with any political or racial overtones, but a necessary burn of an old wooden grain bin in the center of town in Whiting, Iowa, where I grew up. She was a Baltimore-grown city girl who wouldn’t be able to imagine this story of the burning though I suppose it’s a common enough event in rural parts of our country. That I know something Lena couldn’t imagine amazes me. I go home to Iowa—rarely—and, as it turns out, after Lena died, fortuitously: the controlled fire. I grew up in Whiting, the son of a farmer—three hundred and thirty acres of soy beans and corn. When the burn took place, I watched it with my father. It scored me like a knife on wood. It hit me like the Schubert in G Flat, like that score, the staffs of music that I can hear by looking. Leonard Bernstein said about music, “It doesn’t have to pass through the censor of the brain before it can reach the heart … An F-sharp doesn’t have to be considered in the mind; it is a direct hit.” The fire was like that for me. It made me see how few times in my life I’ve experienced that: a direct hit, the strike to the heart—despite my perfect pitch. My father and I watched the burn from beginning to end. The firemen were mostly older and younger men I knew, had grown up with—perhaps a few out-of-towners, sure—but mostly guys I could tilt a howdy finger off the steering wheel of my father’s pick-up—the old blue one I like to drive around when I’m in town, rare as that is now. My father didn’t see fight-fire in the War, the second big war when he flight tested P-51 Mustangs, the fighter plane, but didn’t shoot its guns. These guys, the firemen, let me get closer to the fire than most other onlookers—although I was surprised by how they trusted the oglers. They trust their neighbors to have good judgment. That too amazes me because I now live in downtown Washington—the center of politics and corruption. My mother didn’t come to watch the fire. My mother’s mouth turns down at the corners. She says she doesn’t smile because there are gaps between her teeth, and indeed there are, but she doesn’t smile because she has accepted what she views as her lot: That my father will rise early and make coffee, that he’ll scramble an egg in the microwave while she sleeps, that she will always make him his peanut butter sandwich for lunch, that she’ll eat her Hershey bar alone in the kitchen while he listens to the evening news, that these will be the things they’ll do and that each time they occur, the daily moments of her life with him, they remind her that she doesn’t love him. She had nothing to learn from the fire. I had much to learn. In the danger that the fire comprised and the safety of its control, I began to understand “heroism.” My father did not win the word hero—not in combat, by definition not a hero, no medal of honor, no wound—no purple heart. I keep a list of heroes, of people who save others, who receive awards for these acts: A man in Nova Scotia saved a man and his seven-year-old son from a fiery auto accident. A sixty-two-year-old man in San Diego pulled his eighty-four-year-old neighbor from a fire. A twenty-seven-year-old man of Centralia, Illinois, rescued a man from a burning house. A twenty-seven-year-old of Dalles, Oregon, rescued two eleven-year-old girls from an apartment fire. A twenty-five-year-old man of Syracuse, New York, a twenty-four-year-old man of Oswego, New York, and a thirty-five-year-old of Webster, New York, together saved a woman from electrocution when a 300-ton crane at a construction site overturned and pulled electrical wires onto her car. But I am like the woman who, when her house was on fire, rescued her fire tongs. 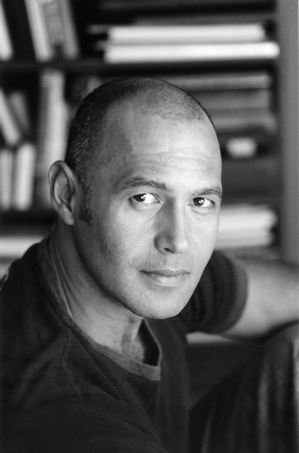 Poet Ravi Shankar joined me at 4:30 PM ET on November 29, 2012 on Rare Bird Radio to discuss his poetry, the process of creating art and his extraordinary support of the arts. Listen here. Join the Goodreads book club to leave a comment or question for Ravi and to hear all the interviews I’ve done with the famous, the fascinating and the emerging: risk takers all—and be encouraged, find your next read, join the conversation. Ravi Shankar is the author of Instrumentality, Seamless Matter Thirty Stills, and most recently Deepening Groove. He supports the work of others in extraordinary ways that we will discuss. Discuss the critically acclaimed films The Third Man, starring Orson Wells and based on Graham Greene’s novel, and the film Déjà Vu: A Love Story, written and directed by Henry Jaglom. Amateur actor, professional journalist and PhD psychologist Harvey Black will join me to discuss these two critically acclaimed films. Save the date: Wednesday November 21 at 4 p.m. eastern time for a live, call-in radio show on Rare Bird Radio. Find the links to all my radio interviews and the books we will be discussing, including the Graham Greene novel and the screenplay Greene collaborated on with the director Carol Reed, Pauline Kael’s review in 5001 Nights at the Movies and more at my click and join Goodreads Book Club. Gioia in person: I had the pleasure of interviewing Dana Gioia, poet and literary force. He was a delight. Our conversation covered his extraordinary career that ain't over yet, by any means, and moved into questions about his new job as the Judge Widney Professor of Poetry and Public Culture at the University of Southern California, Dana's candid discussion of self-actualization and Maslow's Pyramid, his views on American culture, his love of film and the poems that appear in films both high-brow and low and all the in-between. To strive, to seek, to find, and not to yield. —the closing lines of Tennyson's "Ulysses"
On the show, Gioia hypnotized us with his reading of "Pity the Beautiful" from his new book by that title. Listen to the live interview by clicking on Rare Bird Radio, my show that I do weekly and where I talk with the famous, the emerging and the fascinating and where literature, narrative, the stories of our lives and culture are my focus. The topic on the table is creativity. Do join the conversation. I hope that all who visit here will join my Goodreads Book Club where all the interviews can be heard and where the book shelf is filled with the author's books. 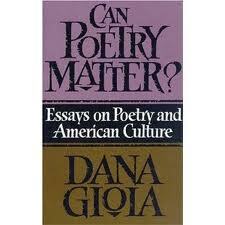 You will find there Dana's new book of poems and his groundbreaking essays Can Poetry Matter? More on Dana can be found on his richly linked website. My thanks to the incredible, joyful and whip-smart Gioia! 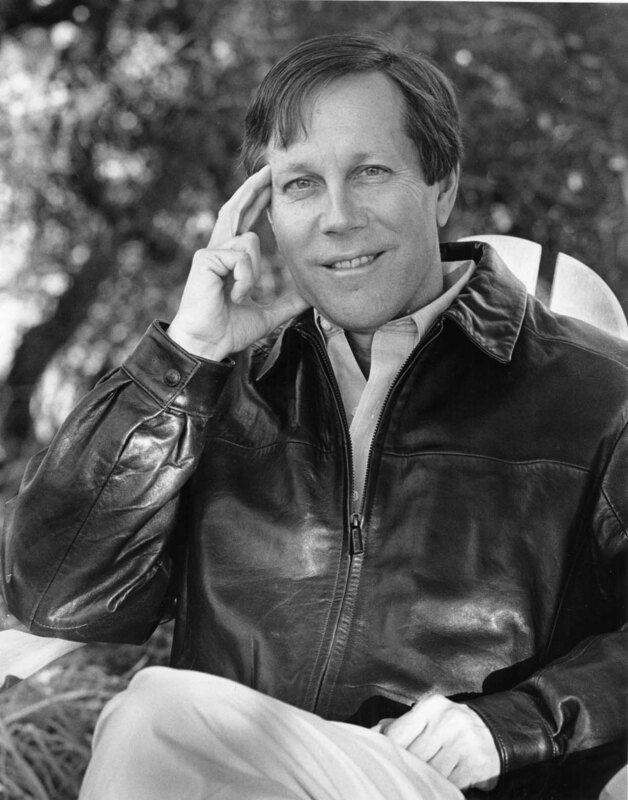 November 7 at 4 p.m. ET/ 1 pm PT, Dana Gioia, renowned poet, former head of the National Endowment of the Arts, author of Pity the Beautiful, his long awaited new collection of poems and author of the controversial essays Can Poetry Matter? will be my guest on Rare Bird Radio. Listen live or later by clicking on the link. If you listen live, we will take calls at 626-414-3413. 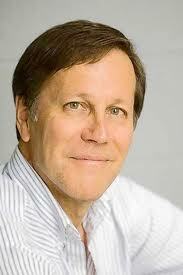 Post a question ahead of time for Dana Gioia or me on Goodreads. Check out Gioia’s extraordinary literary career and lifelong support for the arts on his website. Join the Goodreads book club where you'll find links to all the books I've discussed with the authors and links to all the interviews with the famed, the emerging and the fascinating. Add your thoughts on the authors, the books and the continuing conversation on creativity. Let us cast light on the arts! 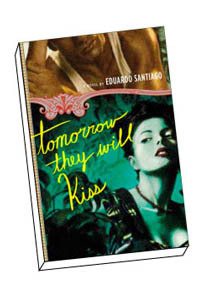 Eduardo Santiago is the author of the much-loved novel Tomorrow They Will Kiss. Santiago tells the story of three Cuban women who immigrated to New Jersey USA in the 60s. 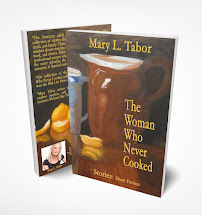 Each is remaking her life, recalling and dreaming of love while struggling to make ends meet. Santiago’s short stories have appeared in Zyzzyva among other notable literary magazines and he’s been named a PEN Emerging Voices Rosenthal Fellow. Santiago is the force behind the Idyllwild Author Series at INK Bookstore in Idyllwild, California. Visit his website for more info. Click on Rare Bird Radio to hear the interview. Santiago was born in Cuba. I had the good fortune to visit that beleaguered land in December 2003. Some of my photos from that trip augment the interview and Eduardo's comments on the land, its folk and Fidel Castro. "Some things take living long enough to do." With this line Molly Peacock evokes the spirit, inspiration and breath of this beautiful book The Paper Garden about the artist Mary Delany who created nine hundred eighty-five mosaics, the first completed in her seventy-third year. I have read and re-read this book to savor every word, the phrasing, the hope. This is a book of hope. I carry Molly and Mary inside me. To read this book is to live the lives revealed here. The bounty is boundless. When I first read the book in 2011, I posted a review of The Paper Garden on Amazon, wrote an essay on this website about the book and hoped in my heart of hearts that some day I would get to interview Molly Peacock. Life gives gifts and on October 24, 2012 Molly and I connected. Listen to the interview on: Rare Bird Radio. To say that this is a book about the art of Mary Delany, which this book is, replete with incredible reproductions, much better than the one above, is to understate its power, its aim. 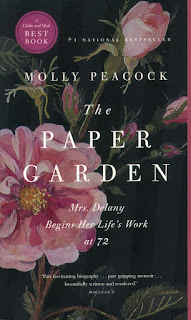 The poet Molly Peacock has taken Mary Delany in her sights and locked onto her life to reveal not only Mary’s story, but Molly’s, and to reveal the breath of life that drives the creative impulse. Peacock writes about the artist’s solitude, the need to say “no,” on “the incivility of the artist at work (what others call selfishness),” on the need for applause and how the encouragement of others increases the productivity of the artist and is not to be underestimated. 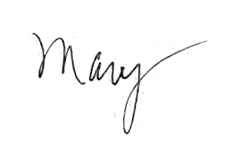 Mary had her friend and cheerleader Margaret. Molly speaks of her longtime friendship with the poet Phyllis Levin: “Neither Phyllis nor I can conceive of how a person can process the material of a life, and by that I mean love and death and every insect bite in between, without practicing an art.” She also speaks of the encouragement that publication provides, of how this book began as an essay “Passion Flowers in Winter” and was published in the small journal—the importance of the literary magazine for all writers and readers I talk about in Literary Magazines: Why Bother?" on this website. Molly’s essay was published first in PoemMemoirStory no. 6 by the editor Linda Frost and then chosen by David Foster Wallace for Best American Essays 2007. The writer, the artist produces with the help of her admirers. 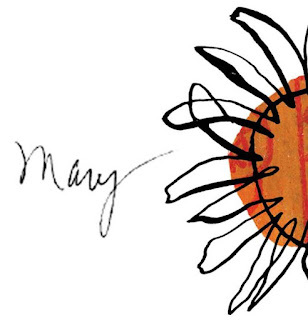 Peacock informs and inspires as she uncovers the life and work of Mary Delany, how she formed a deep and abiding friendship with Ruth Hayden, Mary’s great, great, great, great, great, great niece, who in her own later years wrote a book about her aunt. Molly—and now I may refer to the writer by her first name as we have met via the interview, and she has wended her way into my heart. Molly says of being in Ruth’s home, of being with Ruth, “I was in a magic place though it was quite real. … Just as real as the robin from which I’d felt a scratch of the past. Not just memory or metaphor but a scratch—the way a fact can scratch, palpable, undeniable, inflexibly pertinent.” Here Molly seamlessly informs the creative process—and that is only one of the gifts of this book. Perhaps more profoundly, she cuts to the bone of her own anxieties about life and death and love. Molly Peacock’s marriage to Mike Groden is part and parcel of this book. Here are words to live by, placed in an unmistakable parentheses in the book: “The secret of marriage is thinking that your partner is better than yourself.” I say unmistakable because do not be fooled. You will discover more in The Paper Garden than promised, another gift. I have been profoundly affected by Molly Peacock and her paper garden. I have been encouraged with no sentimentality, with no easy phrase, with no how-to glibness. I have been moved. This blog and website are in search of meaning, and this blogger, a believer in the power of the willed word that helps us make sense of all the ways that life betrays the living and still gives hope. Molly Peacock defines art and life and hope, in her being and in her work. 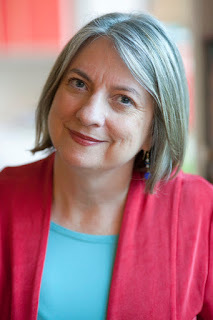 I will interview author Molly Peacock, today Wednesday, October 24 at 4:30 EDT/ 1:30 PT on Rare Bird Radio. Click here to listen. Call into the live show to listen and perhaps ask a question. Here’s the call-in number for Wednesday at 4:30 EDT: (626) 414-3413. Have you read Molly's fab book The Paper Garden? You gotta read it! If you are a member of Goodreads, join my book club because you can post a question there right now for Molly or me and I'll try to make sure it gets answered on the show. If you can't make it today, I will tell you what I've learned from the interview in my next post and will include a link to the show so that you can listen after it's run. But, really, don't you want to hear Molly live? Be sure to check out Molly's Website. 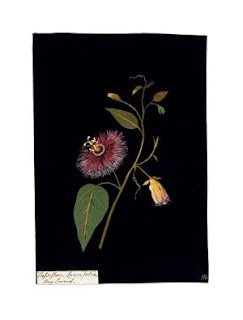 Here's a lovely flower, but nothing like what Mary Delany created out of "whole cloth," or to be more accurate, from her soul. Save the date: Join me, Wednesday October 24 at 4:30 EDT on Rare Bird Radio when I interview author Molly Peacock. Have you read her fab book The Paper Garden? You gotta read it! 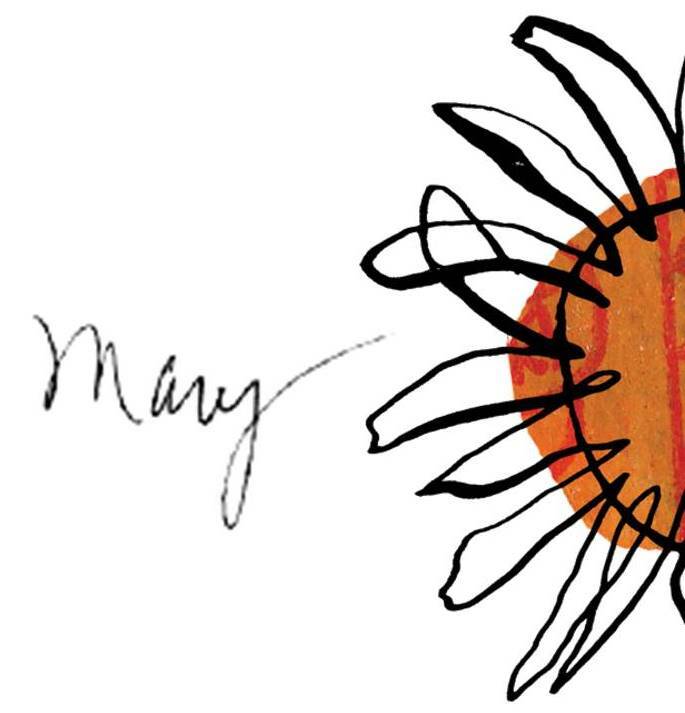 Molly has written a moving book about the artist Mary Delany whose mosaics are too beautiful for me to even attempt to describe, but virtually all of them are in Molly's book, along with a telling that will make you think again about the nature of creativity. Find out more about Molly Peacock at Molly's Website. Michael Johnson, my guest on Rare Bird Radio, talks to us about Nabokov, Americans and our television, France and the United States—and he pulls no punches. Michael Johnson, career editor with McGraw Hill, four years correspondent for the Associated Press, contributor to The New York Times, The International Herald Tribune, The American Spectator, The Boston Musical Intelligencer, The Columnist.com and has lived 15 years in Paris and Bordeaux. We talk about France, culture, the arts, Vladimir Nabokov, the Russian poet Pushkin, the joy of a glass of wine—and more. I hope you will listen and comment. 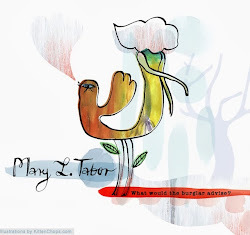 Here's the interview with this eloquent, delightfully literary bon vivant on Rare Bird Radio. My thanks to Michael Johnson, to Tyson Cornell who owns Rare Bird Radio, and all the books that have "got me through." I add that this interview is the first time Michael Johnson and I have ever talked; yet he was an early reviewer of my novel Who by Fire and you may see what he has to say here. (626) 414-3413. Click on Rare Bird Radio to listen live! 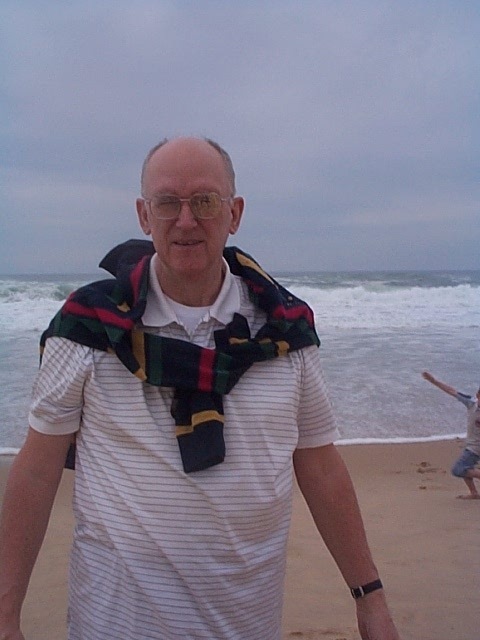 Michael Johnson, who lives in France, writes for The International Herald Tribune, American Spectator, The Boston Musical Intelligencer, Columnists.com: Where will he appear next? Call in and find out. Note: I first published this essay in January 2011 and have updated that post here with new links and info. You wanna get published, right? You’ve got the short story done. You’re working on the novel. You don’t have an agent, a big publishing house. Yeah, we all want that. You may say, “Literary Magazines: Why bother?” I say the “little” guys take more risks than the slicks or higher circulation journals. Traditionalists say, get in print first—and maybe you should. Yes, the literary world is changing with the emergence of Ezines, but it’s still predominantly print. Whether or how soon the Ezine will accomplish what I’m about to show has long been true in the print world is an open question that I’ll come back to. It took Faulkner thirteen years to see his first short story in print. And he sent to the literary journals. “That Evening Sun Go Down” (Best American, 1931) was published in The American Mercury (now gone). In those early pages we are introduced to some of the Compsons who make up The Sound and the Fury. “A Rose for Emily” appeared in Forum (now gone) in 1930. Both magazines rejected earlier stories. And the rest is history. William Saroyan’s tour de force of voice, “Resurrection of a Life” appeared in Story (now gone) in 1935 and then in Best American. I argue that this story could not have found a home in a commercial magazine. In 1940 his play The Time of Your Life won the Pulitzer. Both Faulkner and Saroyan mailed to the little magazine where risk is the name of the game. 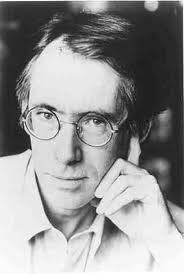 A story by Ian McEwan appeared in the final issue (1977) of New American by then called American Review. That mag. published three of his stories before he published his first novel and later went on to win the Booker. His story appeared alongside stories by Grace Paley, E. L. Doctorow and Angela Carter. 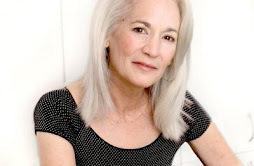 In 1998 Pam Houston published a story in Fish Stories (gone) before “The Best Girlfriend You Never Had” appeared in Other Voices (gone) in 2000 and was chosen for Best American and then by John Updike for Best American Short Stories of the Century. 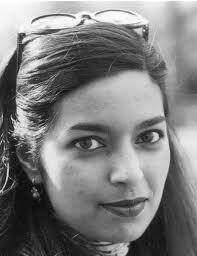 In 1998 Jhumpa Lahiri published a story in Salamander (circulation about a thousand) before her book Interpreter of Maladies was out, before she won the Pulitzer for that collection in 2000. The title story appeared in Agni (circulation about 2000) in 1998 and later in Best American. Agni is now Ezine and print. They bothered. Why shouldn’t you? I received my MFA degree from OSU when I was fifty-two—the oldest student in the program—and have published ten stories in little magazines. 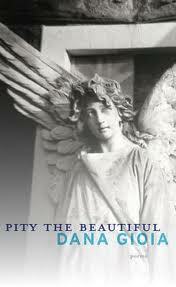 Frederick Busch named my collection of short stories the finalist for the 2002 AWP Book Award, which Joan Connor won. When I was an MFA student, I selected one of her stories for The Journal (circulation about 1,500) where I was working as a student and assistant fiction editor. She bothered. So should you. T. C. Boyle, “Poison,” 1978, Hawai’i Review. I was able to find a link to what might have been this magazine at Poets.org (Note: this is not the site for Poetry Magazine that received a $200 million grant in 2003 from Ruth Lilly). Boyle's collection of short stories The Descent of Man appeared in 1979. 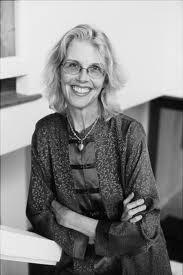 Jane Smiley, “Jeffrey, believe me,” 1977 TriQuarterly before she had a book. Ann Beattie, “Winter: 1978” Carolina Quarterly (1980) and reprinted in Best American 1981. 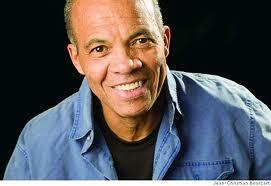 John Edgar Wideman, “Two Stories,” The North American Review. He published his first book A Glance Away in 1967 when he was 26. He decided in 2010 to self-publish with Lulu. 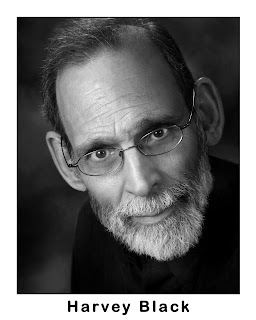 The blog aalbc.com gives you a fine overview of his career and links to all his books, including those he recently self-published. Publisher's Weekly that has continued to review the self-published work did a story on his decision to go rogue, as the big houses might assert. Mary Gaitskill, “A Crazy Person,” Open City after her collection Bad Behavior and a novel Two Girls, Fat and Thin had appeared. 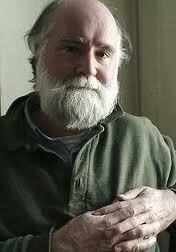 Nicholson Baker, “Harold Munger’s Story,” Story Quarterly (1981) ; his bio, quoting him, says, “he is not working on a novel.” His first novel The Mezzanine appeared in 1988. For the established print mags, go to the Council of Literary Magazines and Presses. All have websites. But the world is changing. Take a look at Literary Ezines and Journals published by The Arts Online to see the many established mags among the not so well-established that are now Ezines. Some of the uber-prints like Grand Street are gone but many let you read from their archives if they’ve not gone totally online…yet! Drunken Boat is an online journal of art and literature edited by the poet Ravi Shankar. In issue DB12, T.C. Boyle and Alice McDermott write tributes to Eugene O’Neill. More impressive is that Robin Hemley, Director of the Nonfiction (uber-famous) Writing Program at University of Iowa has a lyric essay “Twirl / Run” with photos by Jeff Mermelstein—a gorgeous layout that sings on the web as an interactive piece. More directly relevant is Defunct Magazine. Robin Hemley is the editor of this Ezine. 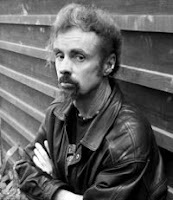 I read and loved Colm Toíbín's collection of short stories The Empty Family: The first story took my breath away: "Silence" was published in Boulevard Magenta--a blogger and poet Michael O'Dea gives us the scoop on this "small" pub. What I’ve proved is that—Ezine or print—the little mag. matters. You can’t afford not to try both. An excerpt from my memoir (Re)Making Love appeared in the Ezine Drunken Boat in spring 2011, shorlty after I was featured in the big circ. mag. Real Simple, February 2011. My novel Who by Fire, ten years in the making, comes out fall 2012. I bothered with the little mag: see my list here. So should you.